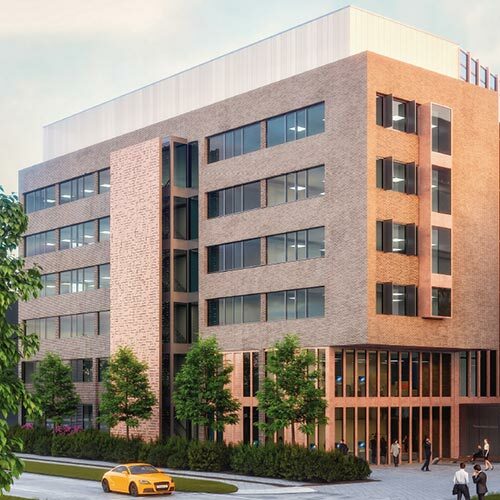 As these combined projects will give rise to new floorspace and new parking requirements which are not reflected in the 2009 Masterplan, a fresh planning permission is required. 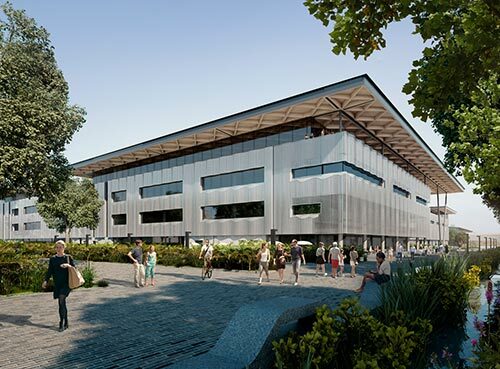 In this context, the University prepared a single planning application to cover all nine projects and enable their combined impacts to be considered together. The application was submitted to Coventry City Council as all projects lie within Coventry’s administrative boundary. The application was a ‘hybrid’ planning application as some of the projects were submitted for detailed approval and others were submitted for outline approval only. It included a revised Travel Plan which set targets for the increased use of public transport, car sharing and cycle use as well as new car parking limits, which will be tied to a new (S106) legal agreement. 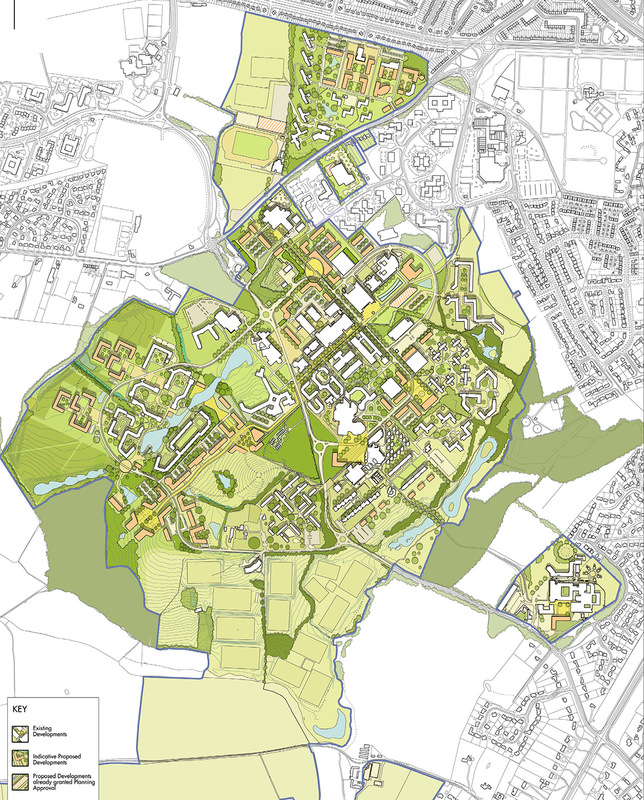 At the same time, the University is embarking on a longer term review of its 2009 masterplan looking ahead to 2030 and beyond. This will involve extensive consultation. The University of Warwick is one of the UK’s leading universities with an acknowledged reputation for excellence in research and teaching, innovation and links to business and industry. It is committed to playing a leadership role in the economic, social and cultural growth of the region, making it a better place to study, live and work and more sustainable for future generations. To fulfil this ambition, the University has been implementing its current Masterplan since 2009. This Masterplan was founded on a vision to ensure the campus was distinguished by its environmental quality, the highest standards of design, and a supportive collegiate atmosphere to reflect the University’s strength of ambition and quality of its imagination.